The Ten Network and Southern Cross Austereo have renewed their programming partnership in the Northern New South Wales market for the next five years. 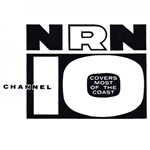 The agreement, effective 1 July, will see SCA maintain its Network Ten programming in the region despite recently forming ties with the Nine Network for other regional areas in the eastern states. SCA had to exclude the Northern NSW market from its Nine Network deal as Nine is already represented in the region via NBN. Under the previous deal SCA is believed to have been paying Ten around 34% of all revenue collected for access to Ten’s programming suite. The new contract incorporates an increased fee payable to Ten but an amount has not been disclosed. The Northern NSW market covers a population of around 2.1 million viewers in an area stretching from Gosford and the Central Coast up to the Gold Coast and across to Tamworth. In its statement issued today, Network Ten advised that further announcements are soon to come regarding regional program arrangements in other markets. 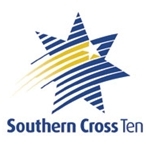 Southern Cross will be switching its affiliation from Ten to Nine in regional Queensland, Victoria, Southern NSW and ACT from 1 July. 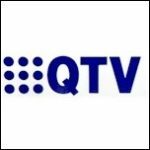 30 December 2010 Queensland TV stirred up by aggregation! I hope sc 10 will be broadcasting HD soon it will be great to view programes in crystal clear pictures.